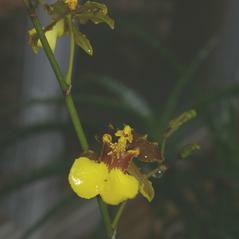 Oncidium ensatum, commonly known as the Florida Oncidium or Dancing Lady, is distributed in tropical America, the Bahamas and extends into southern Florida. 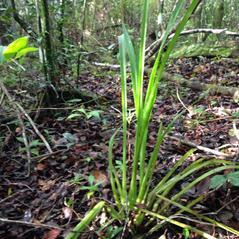 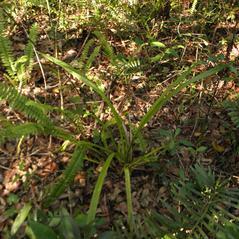 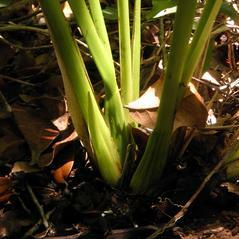 This species has 2-6 linear leaves extending from the pseudobulb. 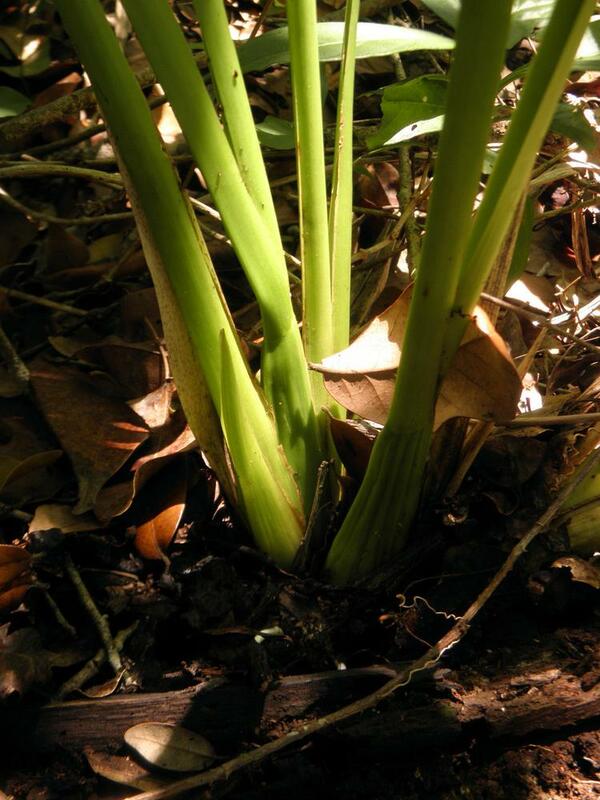 The inflorescence (up to 2 m) is an arching panicle from the base of the pseudobulb with up to 80 green, yellow, and brown flowers. 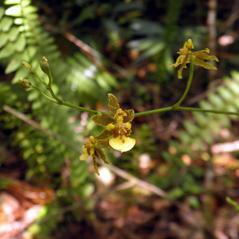 The labellum is lobed and yellow. 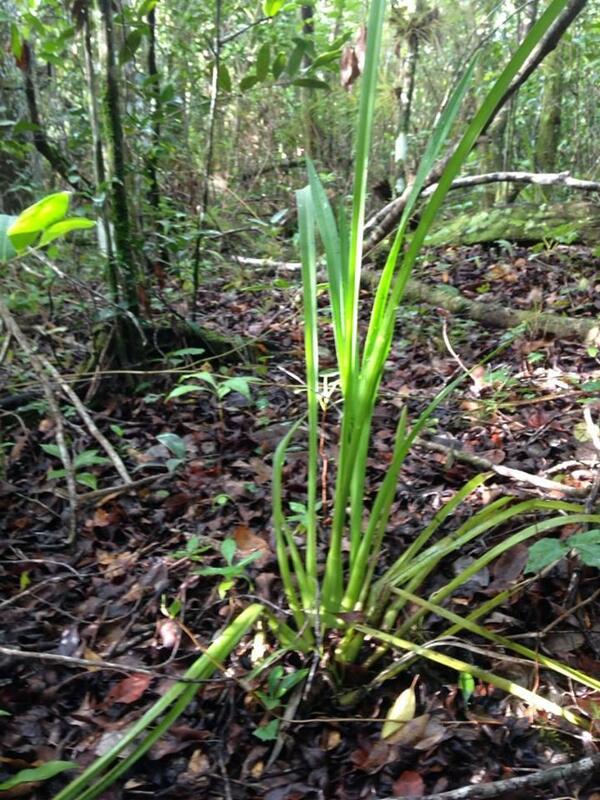 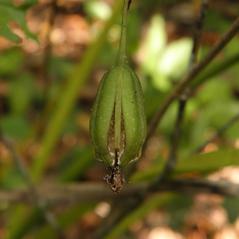 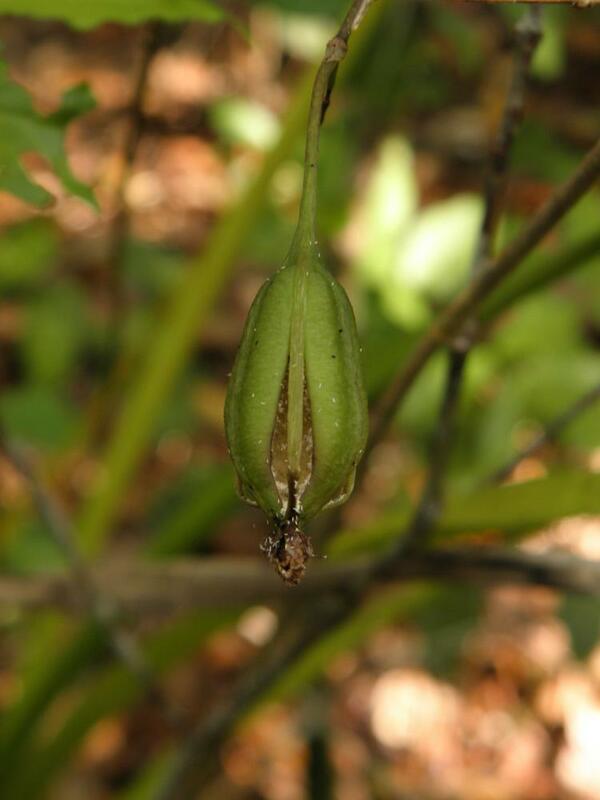 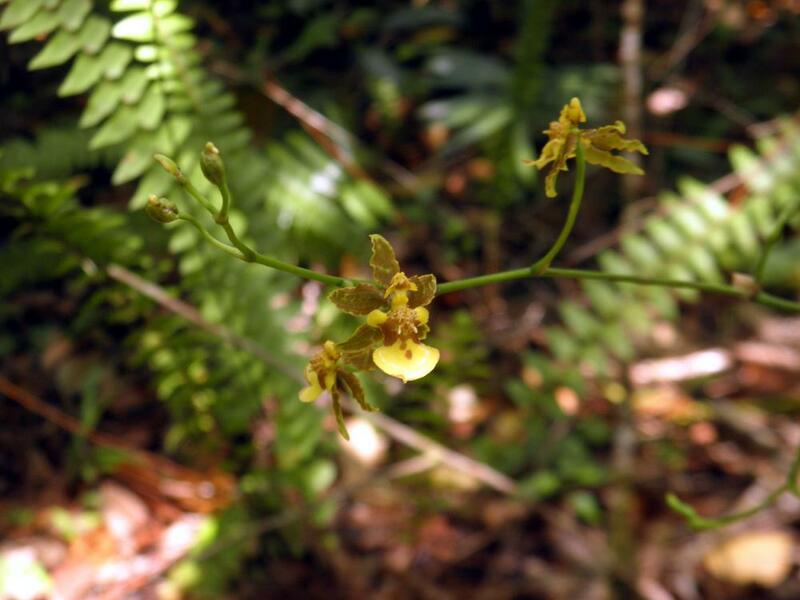 This orchid may occur in terrestrial habitats of rich humus in relatively dry hammocks, or as epiphytes at the base of cypress trees in wet forests. 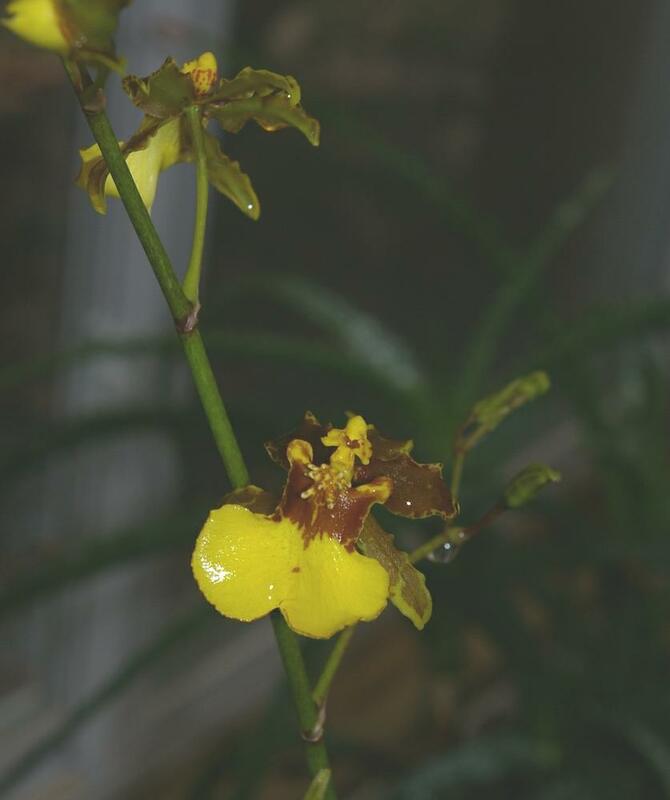 Oncidium ensatum is apparently secure across its range but considered endangered in Florida where some populations have been extirpated due to changes in hydrology, illegal collection, and habitat loss. 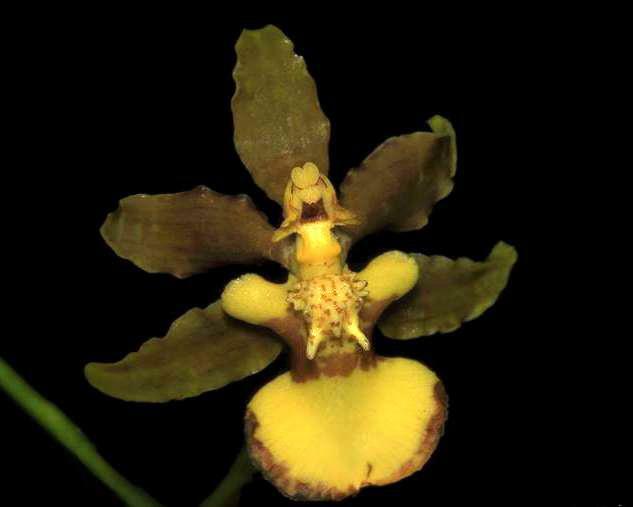 Male oil-collecting bees in the genus Macropis pollinate this orchid when they mistake the branched inflorescences for swarms of a different bee species. 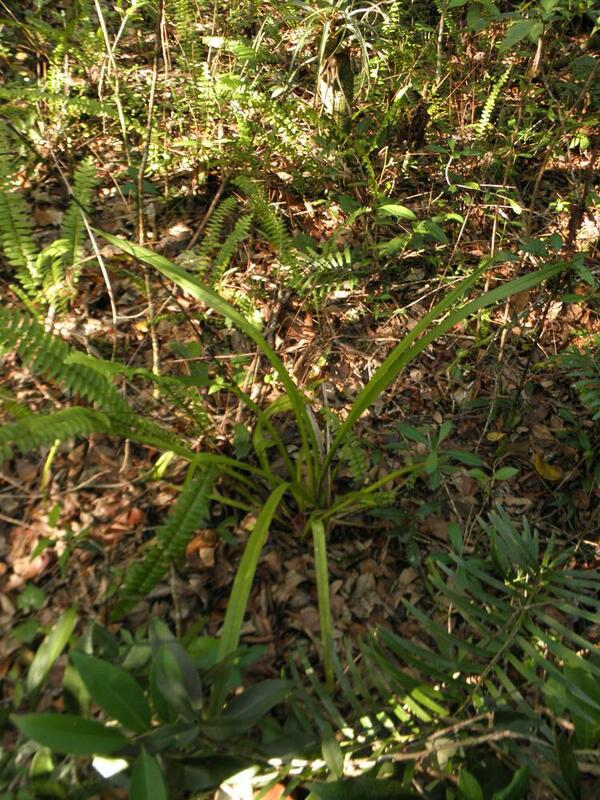 This triggers the territorial response in these males and they attack the "swarm" with the intent of driving the foreign species out. 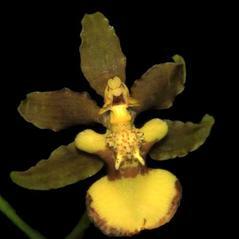 The bees get pollen attached to their heads which are then transferred to another flower in a subsequent "attack."